The Deer Creek Speedway hosted their 2018 awards banquet at the Rochester International Event Center on January 12. 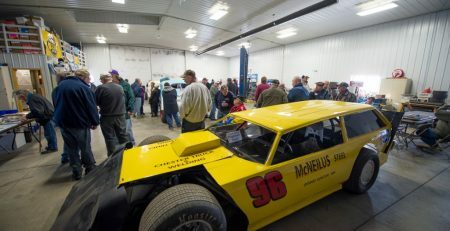 A large crowd was in attendance to see the celebration and to honor the top drivers from 2018. 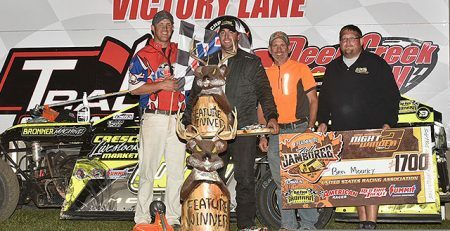 The awards for most improved on the Deer Creek Speedway were Jason Newkirk in the WISSOA Street Stocks, Spencer Stock in the WISSOTA Midwest Modifieds and David Miller in the WISSOTA Super Stocks. 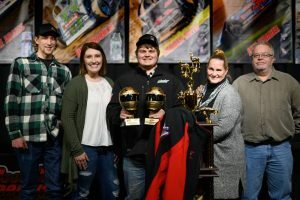 Kadden Kath was voted most improved in the USRA B-Mods and Nate Wasmund was recognized as most improved in the USRA Modifieds. 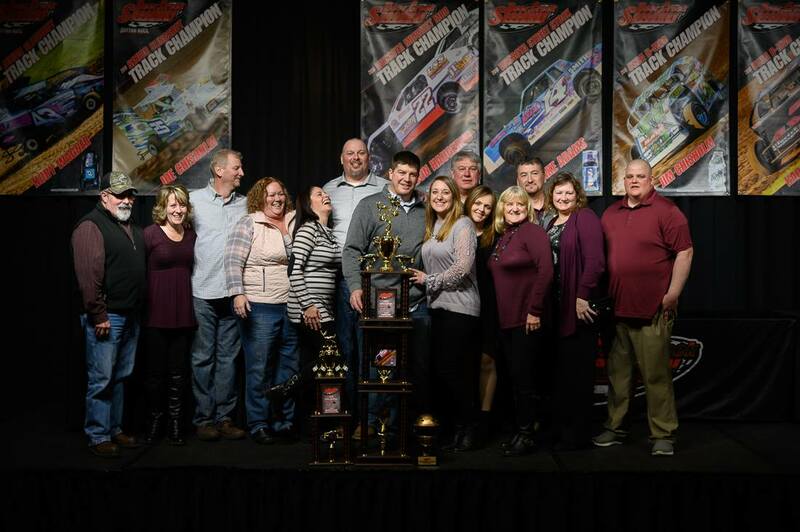 The Rookie of the Year award for 2018 was given to WISSOTA Midwest Modified racer Jason Haugerud. The Hard Luck award recognized WISSOTA Street Stock racer Danny Richards who rolled over hard during the season. The Sportmanship award was given to USRA B-Mod driver Kadden Kath. Then the top three in the Blake Trucking Slingshots were presented trophies. In the Junior division Koby Wagner was crowned champion with Curtis Parmenter and Mason Stockhausen second and third. Joe Chisholm and Gage Motl tied to the Senior class title with Lilli Reps third. 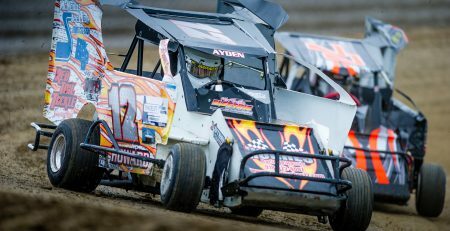 Both Chisholm and Motl announced they will be moving to the USRA B-Mod division for 2019. The five classes that race at Deer Creek were up next. Drivers that finished 10th through sixth were recognized with the top five in each division all receiving trophies. The Dirt Doctor Trucking WISSOTA Midwest Modifieds were up first and fifth through second were, Steven Amundson, Peter Leuschner, Josh Crary and Don Schaefer. In the Adams Graphix WISSOTA Street Stocks, Kory Adams finished fifth in points with Jason Newkirk fourth. Braden Brauer would finish third in points and Nick Schewbach was second in the final rundown. The National Fleet Graphics USRA B-Mods had Brandon Maitland fifth in points while Ryan Maitland was fourth and Dustin Kruse was third. In the Brauer Roofing WISSOTA Super Stocks it was David Miller fifth, Kevin Hager fourth, Schatney Sanders third and Neil Eckhart second. The Napa Auto Care Centers USRA Modifieds had Darwyn Karau finish fifth in points. Joe Horgdal was fourth in the standings with Jacob Bleess third and Josh Angst second. Finally in the King Of The Creek final standings, Dustin Kruse was fifth, Neil Eckhart fourth, Kory Adams third and Jim Chisholm second. Then it was time to honor the 2018 season champs. There were five first time titlists and three accomplished the feat without a single point night feature win. They were introduced one by one and they took to the stage and each champion was interviewed. 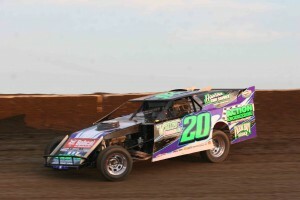 Jason Haugerud won the title in the WISSOTA Midwest Modifieds. It was his first title in his first season at Deer Creek and he did it without a feature win. Blake Adams won his first title in the WISSOTA Street Stocks with four wins and nine top five finishes. For the second time in the speedway’s history there was a tie for a point title. Kadden Kath and Jim Chisholm tied for the USRA B-Mod crown. USRA guidelines had Kath as the champion with more feature wins, but Kath asked if they could share the accolades which USRA approved. Kath had three wins and seven top five runs while Chisholm had zero wins and six top five finishes. Jeff Brauer won his seventh track championship when he took the WISSOTA Super Stock crown. Brauer was also crowned “King Of The Creek” for second consecutive year. Brauer also did not win a race in 2018, but had 11-top five finishes in twelve shows. Nate Wasmund picked up his first track title in the USRA Modifieds. Wasmund rode two wins and eight top five finishes for the title. Justin Queensland then addressed the crowd to thank everyone for a great season. He also touched a little bit on each champion and also talked about a couple of things coming for 2019. Queensland then turned things over to event emcee Todd Narveson who closed out the night. The 2019 season is scheduled to kick off with practice on Saturday, April 6 with the tentative opener set for Saturday, April 13. 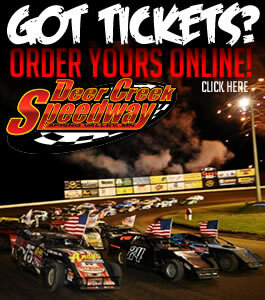 For more information on Deer Creek Speedway please go to www.deercreekspeedway.com. Also “Like” our Facebook page, follow us on Twitter @DeerCreekSpeed (#TheCreek) or view some previous season’s action on our YouTube channel. Ruter races to victory in 7th Annual BP Labor Day Dual presented by Baudoin Oil Co.